Home › Archaeology › Got Biblical Historical Context? 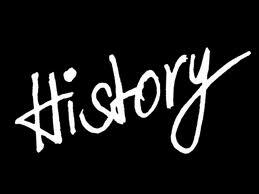 Like many people I used to get the years and periods of history mixed up. When was the US Civil War? The Reformation? The Revolutionary War? The Middle Ages? The Mayan Empire? When were the Pyramids of Egypt built? When were the Crusades? The Renaissance? Kudos if you can answer all of those questions. Most of us struggle because we knew these answers long ago when we had to study dates and periods for tests in school. Many people never bother to recall or worry about these details in their adult life. Now how about Bible history? When did King David live? Moses? Joseph? Abraham? Jonah in Nineveh? Is there proof of their existence or were these really just good stories? When was the temple built in Jerusalem? What about the Northern Kingdom? Southern Kingdom? What were their capital cities? Why should we care? When were they destroyed? When did the Roman Empire start? End? What about the Greeks? Is Alexander the Great in the Bible? Did Daniel predict 4 major historic kingdoms? When did Paul live and die? When did John write the Book for Revelation? What prompted Martin Luther to break from the Roman Catholic Church? When did he do that? How did the Methodists and Baptists and Presbyterians and Mormons get started? You may know or may ask “Who cares?” I believe we should care greatly. Knowledge of Biblical historical context impacted my own faith and understanding of God’s intervention in real human history. In my 30’s I took an inductive Bible study class at church that awakened me to Bible history. I was forced to look up cross-references in the Old and New Testament and understand timelines and sequences of kings and kingdoms and books of the Bible. My ambivalence toward history turned to heightened fascination as I recognized the implications of Scriptural truth if these timelines and historical figures and periods, cities and empires were actually proven to be accurate and accepted by even secular historians. For me, when the Bible was studied in the context of real human history, it came alive as a document to be reckoned with. Actually my full appreciation of the entire Bible as the living Word of God came really after my questioning mind was overwhelmed with factual support and sequential context. Then I understood that when Jesus references the Old Testament, He’s not making things up. Adam lived and from him all were descended. (I’ll deal with this topic in other future posts.) His descendants are delineated in Genesis 3-12. Abraham then emerges, chosen out of a lineage of men “to be a blessing for all the nations.” This was a prediction of the rescue of the human condition from Adam’s original sin through the saving death of Jesus Christ on the cross as atonement for all mankind. Abraham lived circa 2000 BC. He fathered Isaac, the promised heir, who had Jacob (who was later renamed Israel) who himself had 12 sons (the eventual tribes of Israel). Joseph was one of these sons who became second in command of Egypt (Genesis 37-50). Centuries later (c. 1500 BC) Moses rescued the Hebrews (Jews) from Egyptian slavery (see Exodus). The Law was handed down, not just The Ten Commandments, but many instructions for a people (Hebrews) living a nomadic, set-aside life in a pagan culture that did not know the One True God. The Law was given for them specifically to keep pure and separate as God had a restoration plan with a bloodline that would lead to the perfect sacrificial lamb, Jesus Christ. That’s why detailed Jewish laws do not apply to modern-day Christians, yet “Judeo-Christian” moral values do apply today to healthy societal living. From the desert of the Sinai peninsula to Joshua’s leading into the “Promised Land” (in today’s Middle East), the Hebrews were then directed by various judges (including Deborah, Gideon, Samson, Eli and Samuel, to name the biggies) before being led by Israel’s Kings Saul, David (c. 1000 BC) and Solomon (who built the first Temple in Jerusalem in 960 BC). Then dividing factions and disobedience led to the separate Kingdoms of 10 tribes to the north (called Israel with Samaria as capital) and 2 tribes to the south (called Judah with Jerusalem as capital). Though major prophets like Isaiah, Jeremiah, Ezekiel and several minor ones are used by God as warning sirens to a sinful and drifting Hebrew people, the kingdoms are ultimately allowed to be brutally destroyed by their enemies – the north by the Assyrians in 722 BC, the south by the Babylonians in 586 BC. In his prophecy Daniel foresees the succeeding world nations beyond Babylon, the Medo-Persians (559-337 BC), the Greeks (336-63 BC, read of Alexander the Great in Daniel 8:5-8), and the Roman Empire (60 BC-476 AD). God’s redemptive final solution culminates with the birth, life, death and resurrection of Jesus Christ (c. 33 AD). Christianity was launched and explained to the world by the apostles and Paul in his letters to the growing Church. Within 3 centuries it became the standard across the Roman Empire and beyond. Christ’s restorative offering became a fulfillment of the promise to Abraham to be a blessing to all the nations of the world. That the entire world has not fully accepted that blessing (30% of the today’s 6 billion people profess Christianity) is not a statement of the veracity and truth of Christianity but a reflection of disregard and disobedience. Likewise that man-driven war and cruelty over the centuries since Christ, even in the name of Christ (Crusades, Inquisition, etc. ), does not discount the deed of Christ at Calvary and the work of the Holy Spirit today and into the future. Christianity is not a religion – it’s a documented passion play over the course of human history. All people should understand its historic contextual relevance and import. Does knowing Bible history strengthen your faith? Thanks. Check out author and OT scholar John Walton.